Hi Doodlebug Buddies! 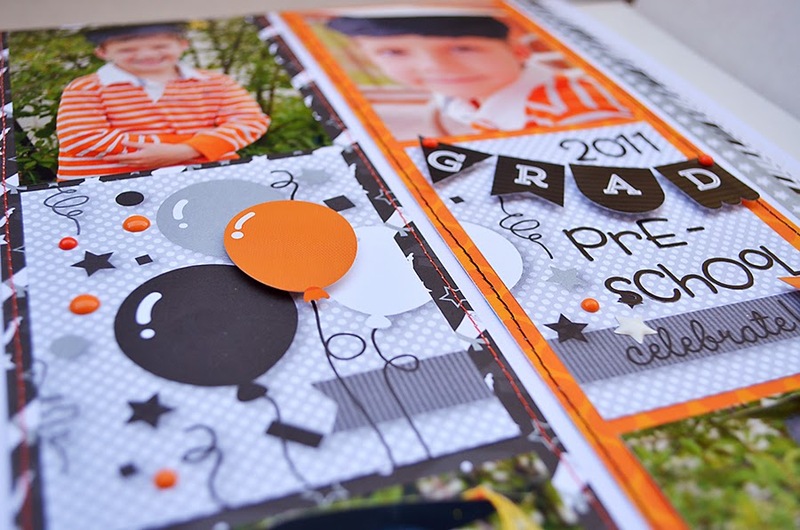 It's Wendy Sue here today, and I'm sharing one of my latest layouts, featuring "The Graduates" collection. I love the neutral colors of this collection - just perfect for adding a pop of color...like school colors! My son's preschool didn't have official colors, but since he was wearing a cute orange shirt, that's what I was inspired by. I pulled out a bunch of orange papers and elements from various Doodlebug collections and went to town (the Halloween themed sets were perfect...orange AND stars)! My favorite thing about ALL Doodlebug collections is how easy they are to mix & match. The awesome circle button with the star inlay I used was from an older collection, Boys Only. Doodle-pops are a great way to add a bit of dimension to any page...but don't feel limited to the doodle-pops - simply add foam adhesive behind any of the awesome stickers and you have a faux doodle-pop ready to add anywhere! 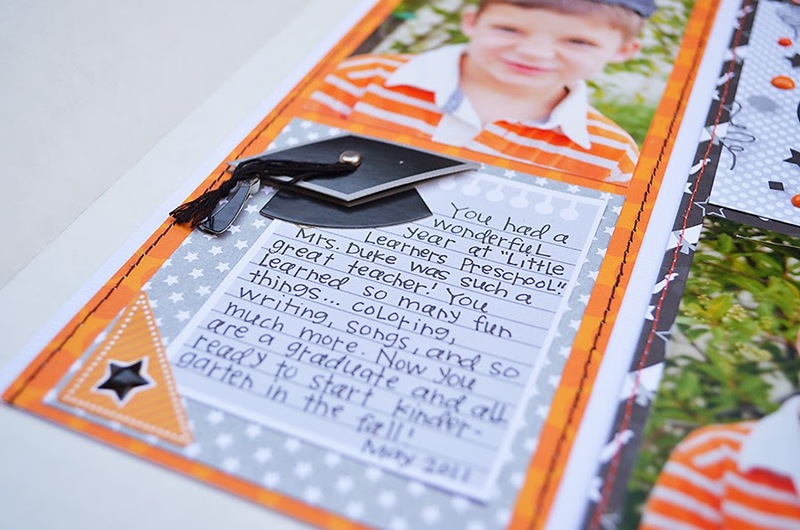 This collection is perfect for ANY type of graduation - but don't forget that it would work great for lots of different types of celebrations...birthdays, retirement, and so much more! One of my favorite things in this collection is the GOLD! It is so trendy right now, and Doodlebug Design knocked it out of the park with the hints of gold that you can add to really spruce up your crafting projects. I was inspired by the Stars Sprinkles! Yes these little stars even have a hint of glitter in them and they are adorable! 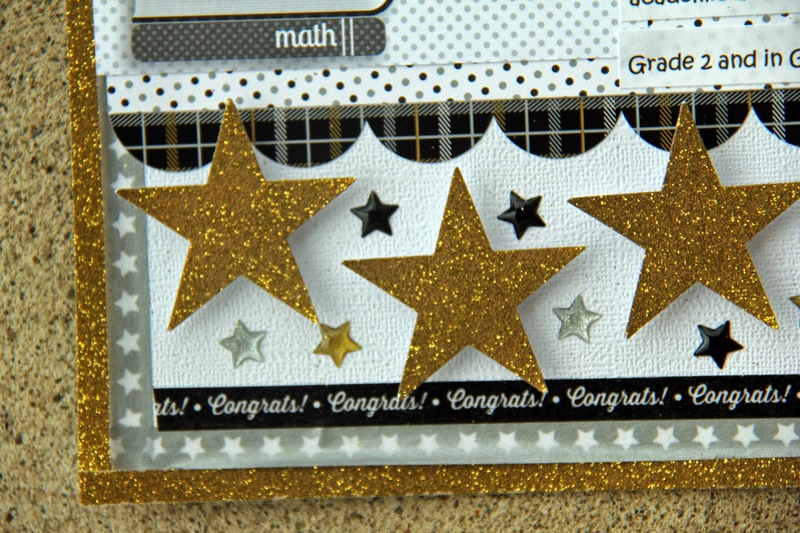 I decided to use most of these as well as some punched out stars from the Gold Sugar Coated Cardstock. I added some of the new washi tape around the border too for extra interest! I then started to layer my layout by starting with some patterned paper and then used a Simply Put card layered with some Icon Stickers. I also added some Speech bubble stickers, that went along with the theme of the layout by using the Cap & Gown Stickers. For my title, I decided to stick with the star theme, add more of the Star Sprinkles! It's that time of year my crafty friends....Graduation time! I know you all are just LOVING the new "The Graduates" collection! 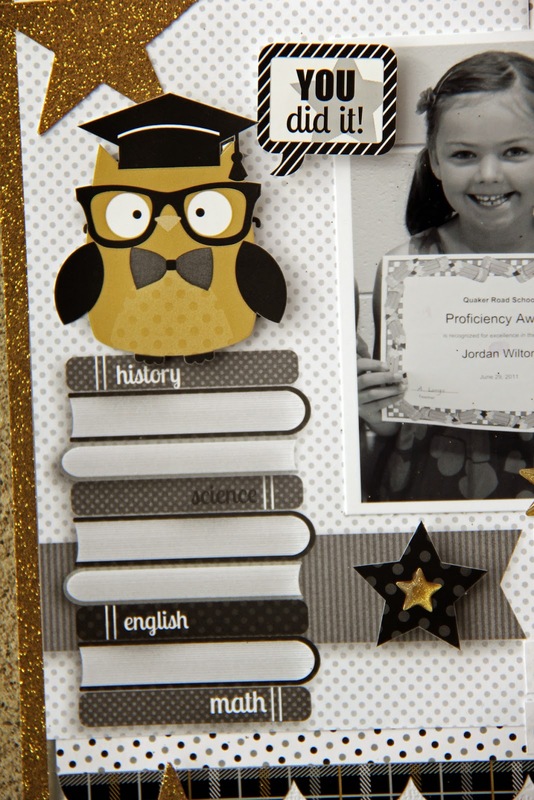 Aimee here to day to share my Kindergarten Graduate layout with you. My sweet baby girl graduated from Kindergarten last year and I have held on to this picture just waiting for the perfect line to scrap it. 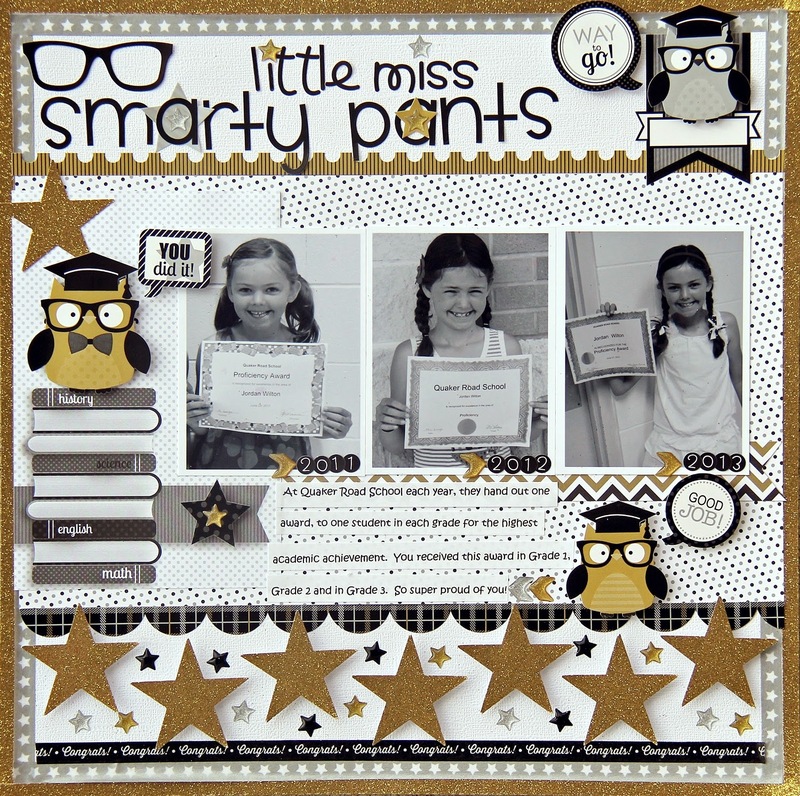 And guess what......Doodlebug came out with this wonderful black, white, and gold graduate line that was perfect and now it is scrapped! I wanted to keep my design fairly simple so the picture and the embellishments were the highlight of the layout. Here you can see how I scattered different embellishments around such as the sequins, star sprinkles, cardstock stickers, and the round sprinkles. I added a piece of the star banner to the tops of the pixie toppers and used some of the new chevron sprinkles to draw the attention to the picture of my sweet little graduate. 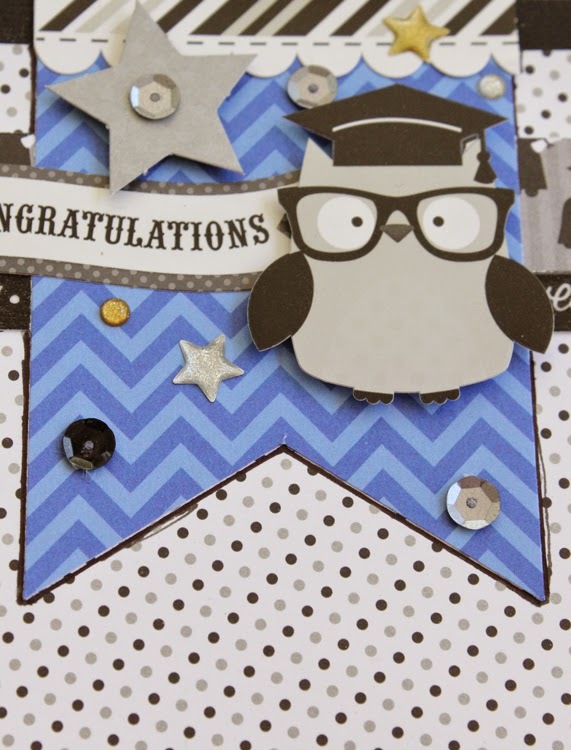 For the top of the layout, I added this banner with an owl that I popped up using pop dots. Then to finish it off I added more sequins and sprinkles. Thanks for visiting! 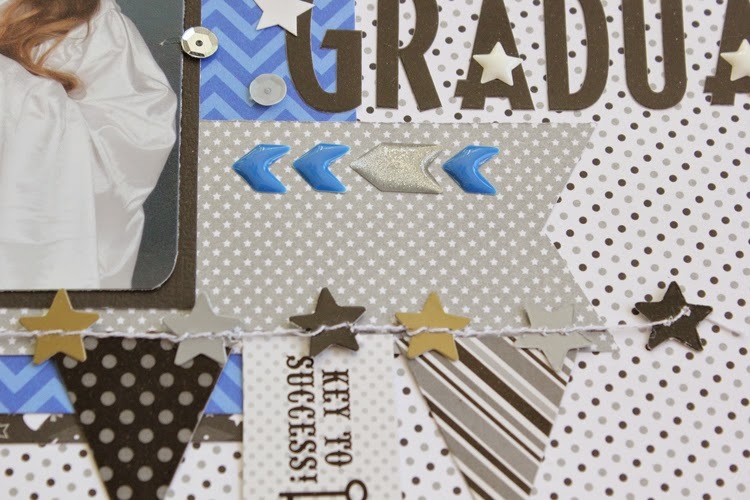 Be sure to stop back by tomorrow for some more wonderful inspiration using the fabulous "The Graduates" collection!! Wendy, Jodi & Aimee...these are just too cute! 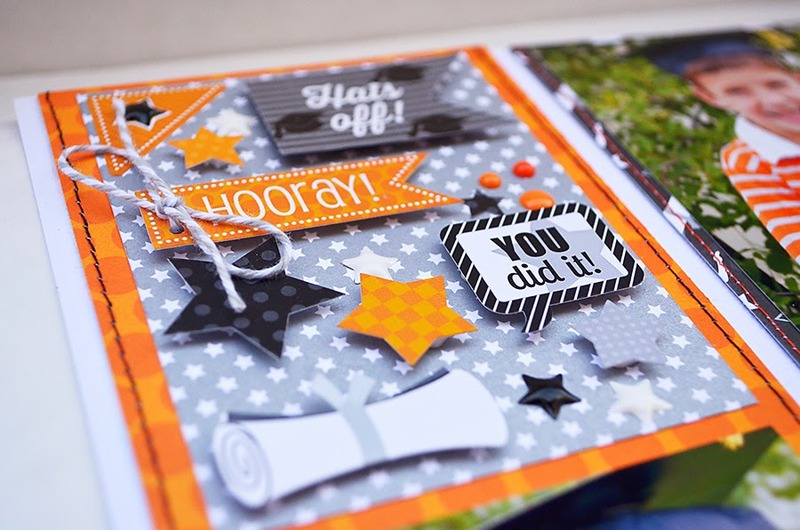 You have created a world of WOW with your FABULOUS graduate layouts Wendy Sue, Jodi and Aimee!!! LOVE the POP of colour in each one and ALL the pretty layers and details!!! They are all SO wonderful! I love each one! 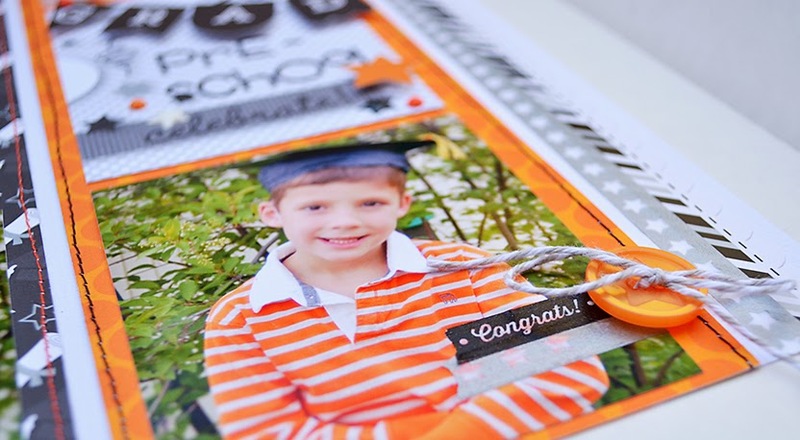 The kids are all adorable too :) Thanks for sharing these today for more awesome graduation inspiration!!! Wow, Beautiful combination of colors! Awesome layouts!!! 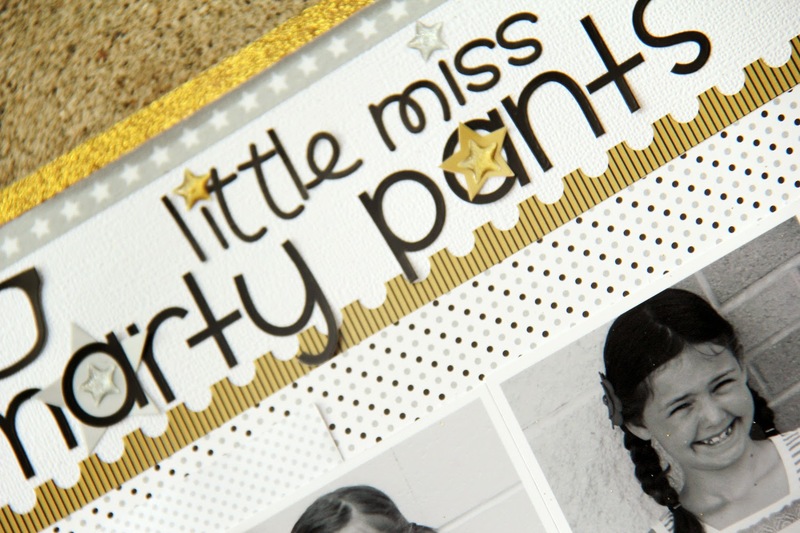 I pinned this close-up pic from Aimee's layout - love the cute Sequins, Sprinkles and Mini Garland!!! These all are such great layouts! It's so great to be able to use pops of color with the line to tailor to your school's colors. I pinned Wendy Sue's layout. I also pinned Jodi's fabulous layout. Love the contrast with the white and gold and black. Lovely layouts girls!!! Love the gold glitter! And I'm totally besotted by that little owl on the pile of books!!!! These layouts are precious!! Makes me envious for those days!